Overview: Blast aliens into space dust, save your own skin, and make smart-alecky comments–all at once–in Galactic Striker, an arcade-style, accelerometer-based Android game. This exciting shoot-em-up adventure boasts 3D graphics and even comes with a fully developed comic-book style backstory. In Galactic Striker, you’re Jack Panic, the world’s greatest (and cockiest) astronaut and hero. As the story begins, you’re called upon to protect Earth once again–this time from a renegade asteroid. But during this routine mission, you accidentally damage an alien mothership (oops) and insult their leader (double-oops), who subsequently teleports you to the other side of the galaxy (not cool, bro). To get home again, you’ll have to shoot your way through waves of alien attacks and other deep-space obstacles. 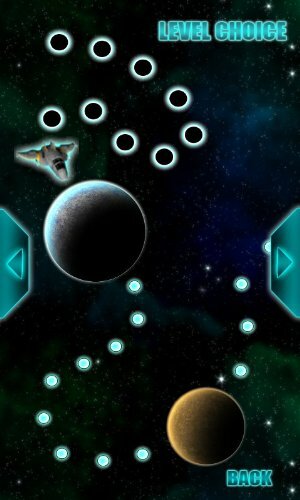 Tilt your phone to navigate your spaceship, and choose from an ever-expanding list of futuristic weapons as you fight your way through space. You’ll need your strongest firepower, steeliest nerves, and sharpest wisecracks to make it back to Earth. A free, ad-supported version of this game is also available. 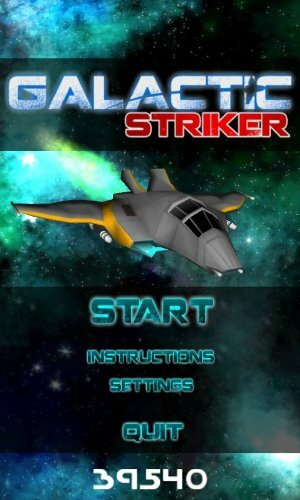 0 Komentar untuk "Galactic Striker v1.0.2 Apk"